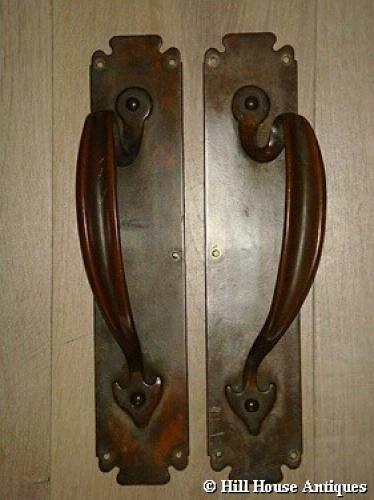 A very well patinated pair of Art Nouveau bronzed door handles with typical organically shaped whiplash design grips. c1900. Approx 12" high and 2.5" wide.